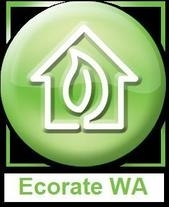 EPS panels (Extruded Polystyrene) are becoming more & more common as a construction method in WA. A standard thickness double brick wall has an average R value of around R0.69 whereas an EPS equivalent wall can be up to R5.0. By combining these types of walls with a standard concrete slab & framed roof you can achieve very high star ratings without the need for upgraded glass or other high performance materials such as cavity wall insulation & with the cost of bricks plus the brick layers costs, the use of this building system may not only be cheaper overall but can reduce the build time significantly.